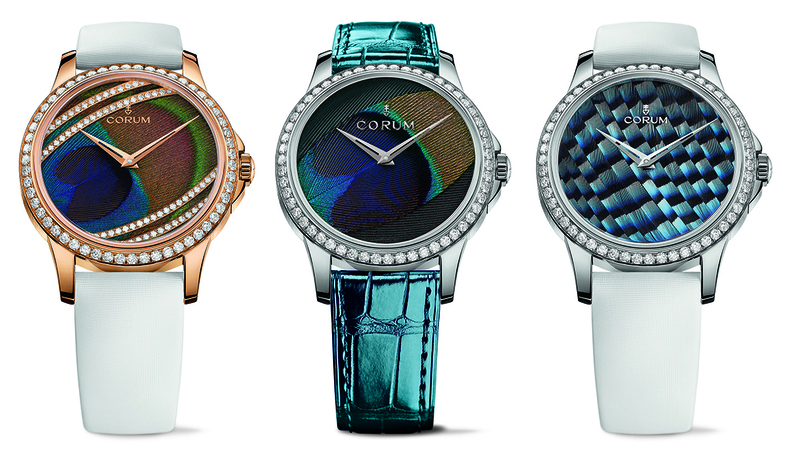 Corum has announced the Feather Watch, a new addition to its Heritage collection that is inspired by an earlier model released in the 1970s. 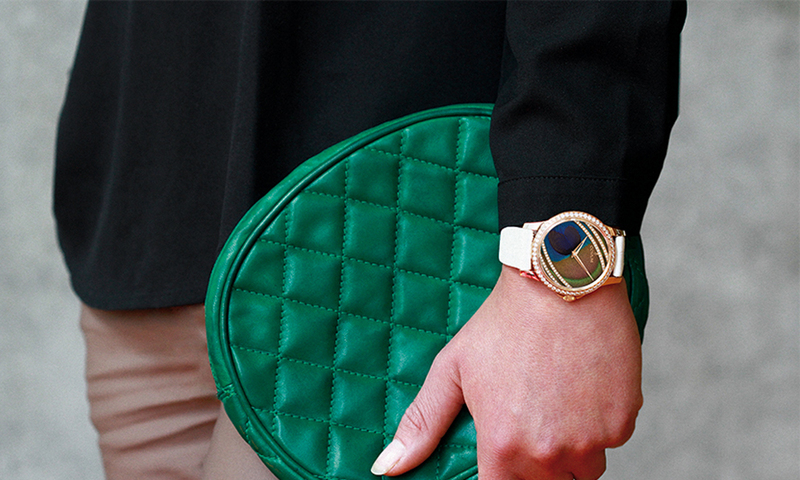 The 39 mm case of the timepiece is produced in 18-carat red gold or stainless steel, when it is complemented by a peacock feather. 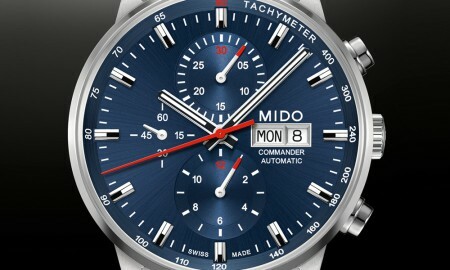 It is also available in stainless steel with a blue jay feather. One model boasts 126 diamonds, for a grand total of 0.71 carats, which frame the feather dial. 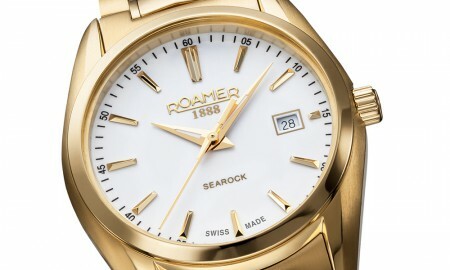 Its design is topped off with openworked dauphine-type hands that are available in red gold or rhodium plating. At the heart of all three models is an automatic Corum CO 110 movement that runs at a frequency of 28,800 vibrations per hour and features hour and minute functions. 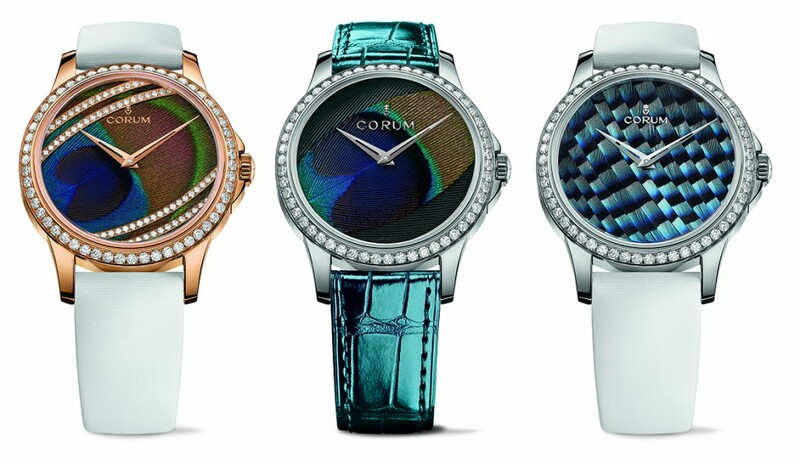 The Corum Feather Watch is water resistant up to a pressure of 5 bar (50 meters or 165 feet) and features a minimum power reserve of approximately 42 hours.